Though most of the office software and photo editors allow users to export documents in PDF format, they don’t (or offer limited) editing capabilities. So, to primarily edit PDFs you need a separate tool, called PDF Editors.Along with editing, PDF Editors allow you to create your own PDF forms with customized information, signatures or checkboxes, and also merge multiple PDFs into one. Moreover, these tools can be used to create any type of PDF document, be it contracts, tax forms, presentations, legal documents, brochures and more. There are many free PDF Editors available online, but most don’t offer the editing facility or offer very limited functionality. So, to avail all such functionalities and more, you will need to buy a PDF Editor. Again, there are plenty of options available, but to help you finalize one, we have listed below the best PDF Editors. Our ranking is based on several factors, including ease of use, features offered, platforms supported, cost-effectiveness and customer reviews. PDFelement offers all the features that a user or a business may need without sacrificing the productive capabilities. This PDF editor offers tools to create, edit, convert, sign PDFs and more. For example, you can create bookmarks, split or merge PDFs, create fillable forms, export data into Excel, apply digital signatures, convert PDFs to other file types and more. If you want to improve your productivity at work, you also can use includes OCR technology to help you edit/extract the PDF files from scanning. Above all, its biggest plus is its easy navigable interface. Its home screen displays all the basic features that one may need in the form of easy to locate tiles. Advanced functions, on the other hand, are clearly laid out in a toolbar. It won’t be wrong to say that it can do what Adobe, which has been a benchmark for PDF editors for so many years, can do, but at a much affordable price. Platforms supported: Windows, Mac, Android, iOS. Price: $59.95-$99.95. The iOS and Android app is also free. Free trial version available. Deals (if any): Exclusive offer (40% Off) until Feb, 28th. Or if you are a students, you can enjoy the long-standing 40% off discount. Adobe is the company that invented PDF, and thus, it offers all the features you need. Adobe Acrobat DC, where DC stands for Document Cloud, allows users to store PDFs in the cloud. It comes with a neatly designed UI, while the tool center helps you to quickly locate the tool you want. In terms of security also, it offers some great features, allowing users to sign, certify and verify documents at one place. Moreover, it can be used to collect e-signatures from others and track responses in real time. There is almost no match for the depth of features offered by the Adobe Acrobat DC when it comes to editing PDF. Not to mention, its super useful text indexing feature for quick searches. Moreover, it’s cloud-based sharing and commenting feature makes it a favorite of many corporates. It’s only drawback, however, is that it is expensive when compared to other editors that offer similar functionality. This makes it unsuitable for individuals and small businesses. Price: $12.99 per month (Acrobat Standard DC) and $14.99 per month (Acrobat Pro DC). Free trial available. Deals (if any): discount to students. PhantomPDF is also well known software offering several capabilities. Apart from basic editing features, the PhantomPDF offers collaboration and cloud support as well. It offers a modern and easy to use interface, which seems to be inspired by Microsoft Office. Moreover, it has plenty of tutorial videos along with easy access to support options for troubleshooting any issue that you may have. 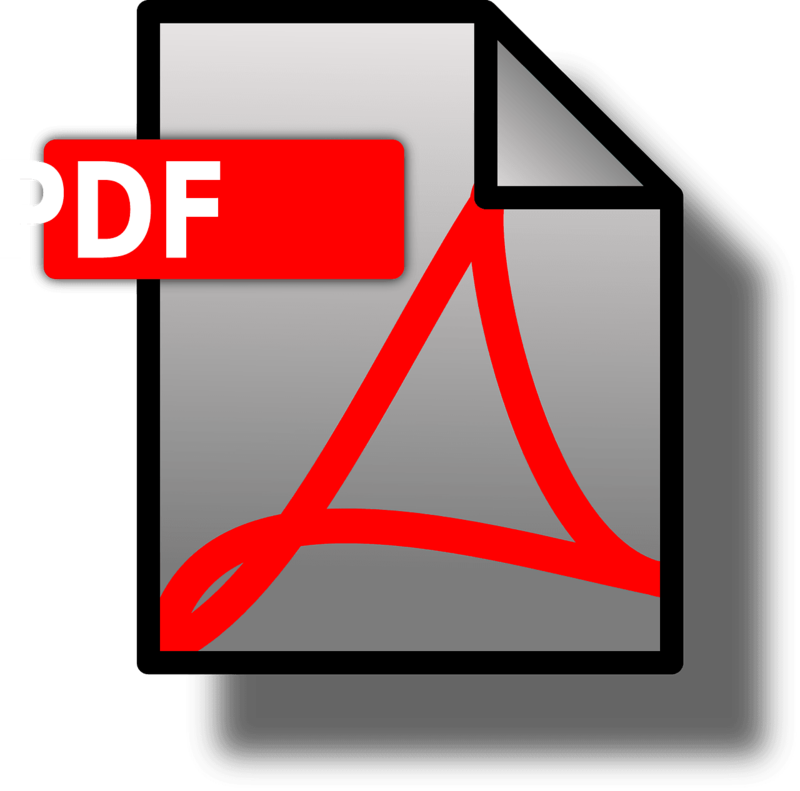 PhantomPDF is also a good option from the safety point of view as it adds encryption to PDFs. Moreover, document owners can lay down the reading and rights for other users. With features like font recognition, multimedia integration,multi-language support and OCR technology, PhantomPDF has emerged a good tool for creating and editing PDFs. However, the user interface of text editor isn’t all that smooth when compared to others. Also, the trial version offers limited features. Price: $129-$159. Free version also available. PDF Expert is next in our list of best PDF Editors. It is a premium offering from Readdle’s, which offers the best PDF processing on iOS. The tool allows you to change the reading settings of PDF document to ensure that your eyes get rest. It has night and sepia filters. Order of the pages is clearly visible from the payout screen. Moreover, users can quickly adjust the page order, add new or delete pages. It offers a much more stylish interface than others in the list along with ease of use, but it has few functional modules. It is best suited for those who need basic editing features and value. But, those looking for editing power, might have to see other options as PDF Expert offers a limited set of features. Also, it serves only Mac and iOS. Price: $94.39. Free version also available. Deals (if any): special offer for students or a professor. iSkysoftPDF Editor, which offers all usual functions of a PDF editor, is among the best available converting tools. It allows users to easily convert files into Word, Excel, PowerPoint and HTML. Moreover, it comes with a batching feature that allows users to convert multiple files in one go. It also features a stamping option to boost the security of the document. iSkysosft appears to offer a smooth interface along with some impressive features. However, it is slightly difficult to operate than others on the list. Also, it does not have an app for Android and iOS. Price: $89.95 (Windows) and $99.95 (Mac). Free Trial version available. It is a fully featured PDF Editor that is easy to use as well. Like other best PDF Editors, Nitro’s latest product Nitro Pro 11 offers all you need, including digital signatures, OCR (to convert a scanned document into editable PDF’s), editing, form creation and more. Moreover, the latest version comes up with Office 2016-style interface, along with giving users an option to customize the Home tab to ensure they have all the needed features at one place. Additionally, the biggest advantage of Nitro is that change text, rearrange images, and add forms are made as easy as it could be. Also, rearranging pages can be done by just dragging and dropping. It is easy to use, fast and offers all the features that you may need. Also, it has an ultra-responsive and professional support team. But it is expensive than many others in the category. No mobile support as well. Also, some users have reported facing minor technical issues while using it. Price:starts from $128 (after discount); free trial version available. Deals (if any): 20% off until January 31st. Hipdf is an online tool offering several features to edit PDF files. The tool supports almost all popular file formats, including DOCX, JPEG, TIFF, GIF and more. Even though it offers a range of features, it is very user-friendly. A major plus of Hipdf is that it is totally free no matter how many files you convert. Offers right set of tools and does not need any downloading or installing software. It is compatible with plenty of file formats and is extremely user-friendly. And, it’s free and requires no registration as well. However, it is useful only for basic stuffs and lacks many features when compared to others in the list. Price: Free version available, while Pro version is $6 per month.